MUD's Cake Eyeliner is a long-lasting, water-activated liner known for its precision and versatility. It is suited for creating subtle and dramatic looks effortlessly. This professional-quality eyeliner works wonders for tightlining and delivers intense color payoff. Go from a super fine line for everyday wear to a thicker line for more impact. Black - A rich shade of jet black, Defines the eyes for dramatic evening looks. Brown - Extra dark rich brown color, Great for a natural eyeliner. 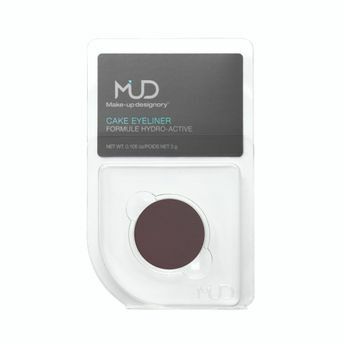 Alternatively, you can also find many more products from the MUD Cake Eyeliner Refill range.